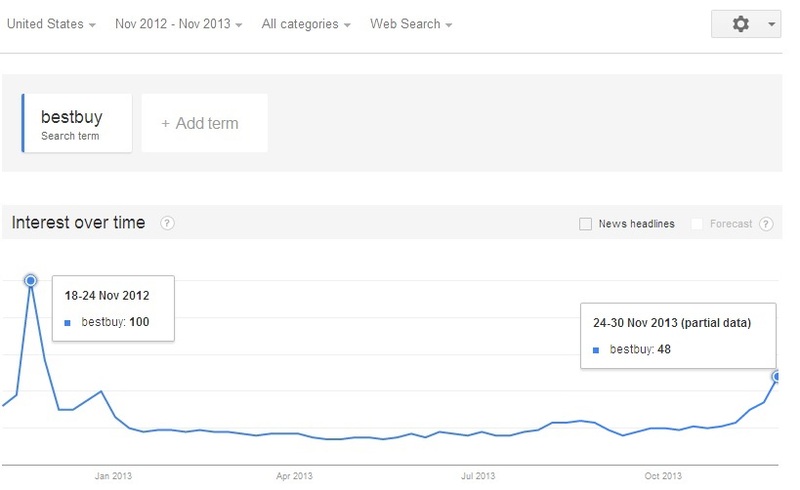 Unfortunately, google trends output is given weekly when looking at a period of 12 months or more, making it difficult to comparatively view searches that took place on exactly Black Friday 2012 vs 2013. 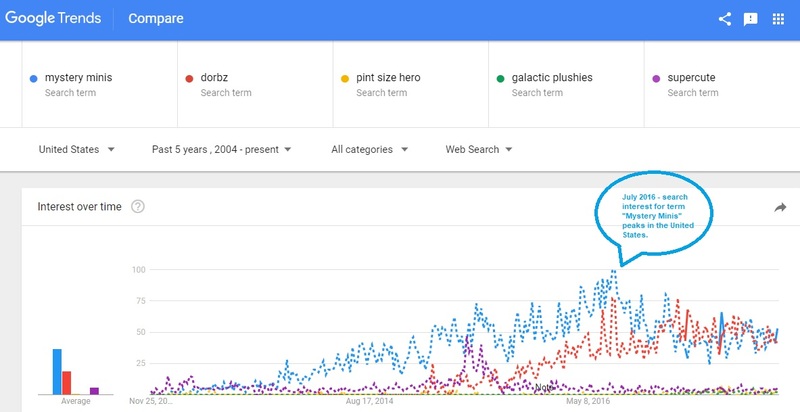 Nonetheless, we have a good idea from the charts above that searches across the board have decreased, and that it will take a huge surge in volume today in order to meet the levels of last year. 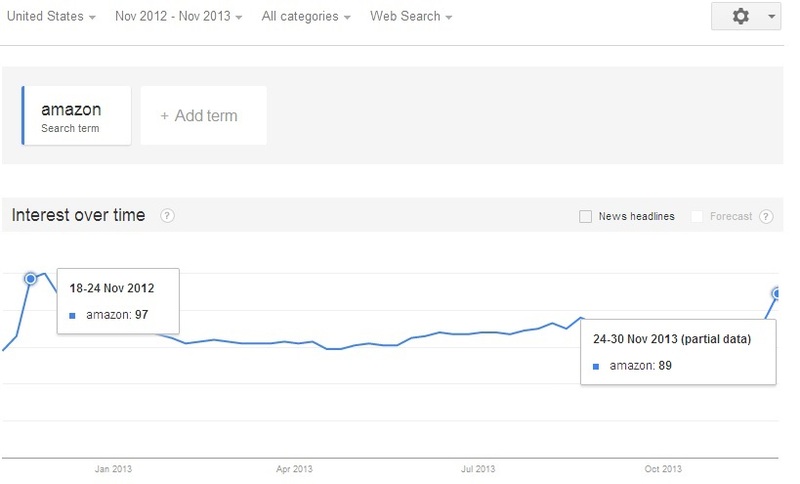 The only exception is with Amazon, as it is the closest to its prior year high in search volumes and still has one more day to go. The real test for Amazon comes on Cyber Monday, as its business model is based for the most part on online sales. 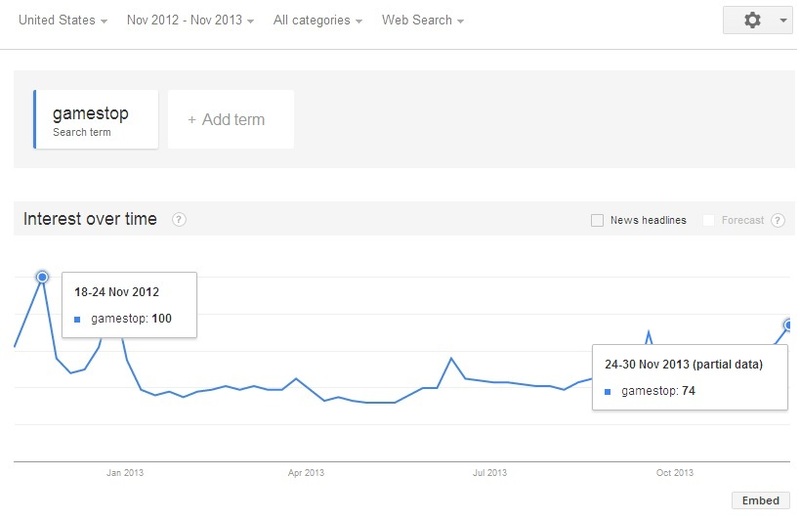 Keyword search volume certainly points towards sales coming in lower than the year prior, that’s if we assume that online searches are a function of sales for the corresponding retailer that is being searched. 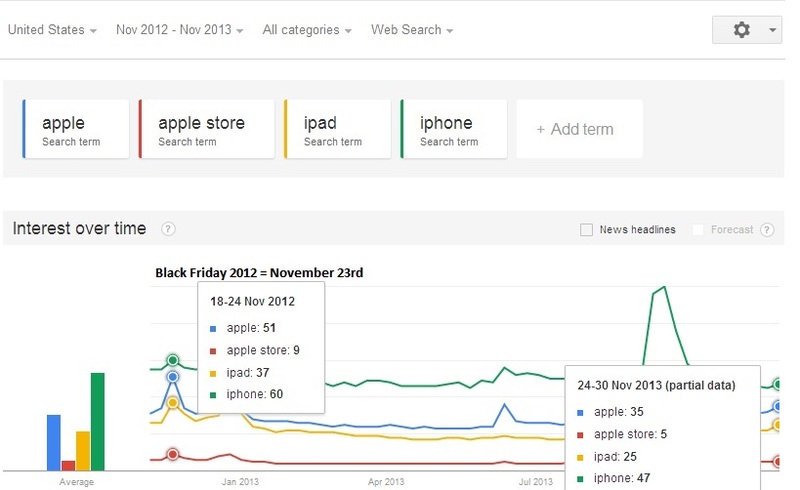 Volume of searches during this period should also reflect consumer confidence and their willingness to go out and spend. 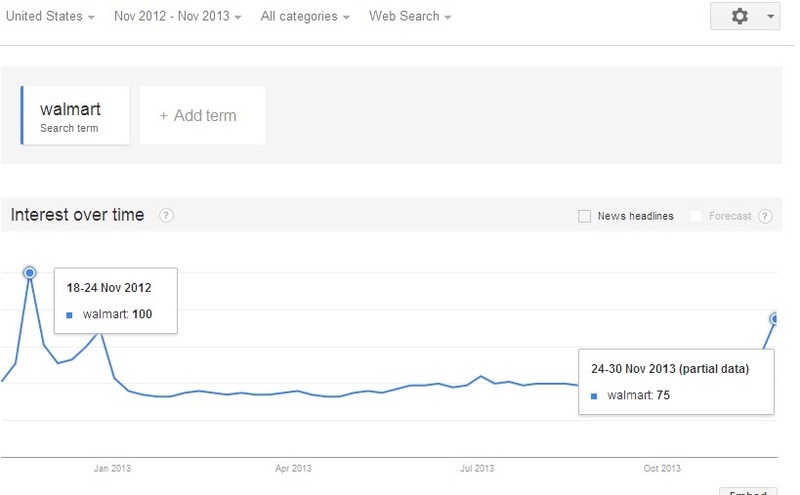 If there is less searches for retailers during this period, it should reflect the overall lack of interest in not only the retailer but “Black Friday” as a whole.